Listmax allows landlords, property management companies, and real estate agents to maximize exposure of rental listings by syndicating to popular sites such as kijiji, craigslist, walkscore, olx, and a lot more. Our platform is stocked with beautiful templates so that your ads stand out on Craigslist. Also includes a lead managing system for keeping track of clients. Organize leads tailored to individual clients. Email matching listings to a client. Gain more visibility by sending your listings to craigslist, kijiji, trulia, oodle, placebee, trovit, prop2go, olx, walkscore, and more. Post Craigslist ads with one click. Look up listings quickly. Generate showing sheets with ease. Collaborate in real time with fellow agents. Get listings update and gain access to listings from local landlords. Print showing sheets instantly and look up listings via numerous search criterias such as: listing ID number, price, location, bedrooms, availability date, etc. Automatically match listings to prospective renters with one click. Showcase your listings on Craigslist with our beautiful ad templates. 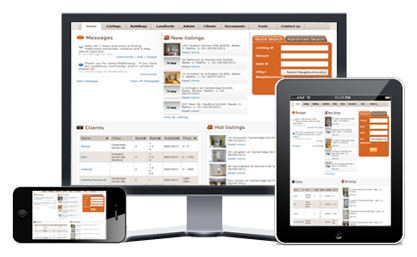 Listmax syndicates rental listings to numerous websites to maximize exposure. This is the best way to get a property rented in Canada. Listmax is the easiest way to get an apartment rented!